It was about time. Me and my little blog finally made it over to Asia, when I visited Thailand for the first time last month! Plagued with a lingering cold-turned-nasty-sinus-infection and battered by wicked jet lag, I landed in Bangkok late on a Saturday night. As I wearily collapsed into my thankfully air-conditioned taxi, I smiled as I took in the city by night. Traffic was congested, even at 9:00 p.m. Vehicles clogged up the highways and streets. Motorcycles flew by, swerving in and out of traffic, much to the envy of anyone stuck inside an unmoving vehicle. Tourists stuffed themselves into the backs of small tuk tuks. There were lit-up skyscrapers as far as the eye could see. Crowds filled the sidewalks, sharing the tight space with vendors selling tacky souvenirs and delicious street food. T-shirts and shorts were the norm, as it was so hot and humid. Absolutely exhausted, I checked into the Plaza Athenee Bangkok, which became my home away from home for the weekend. 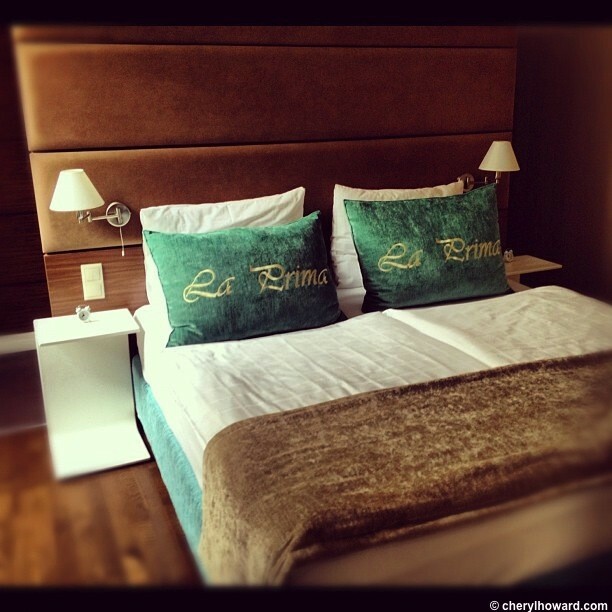 It’s not very often that I get a five-star treatment, so I took advantage by having a long soak in my room’s oversized bathtub, and then I fell asleep rather quickly in my comfortable king-sized bed that could have easily fit a family of four. 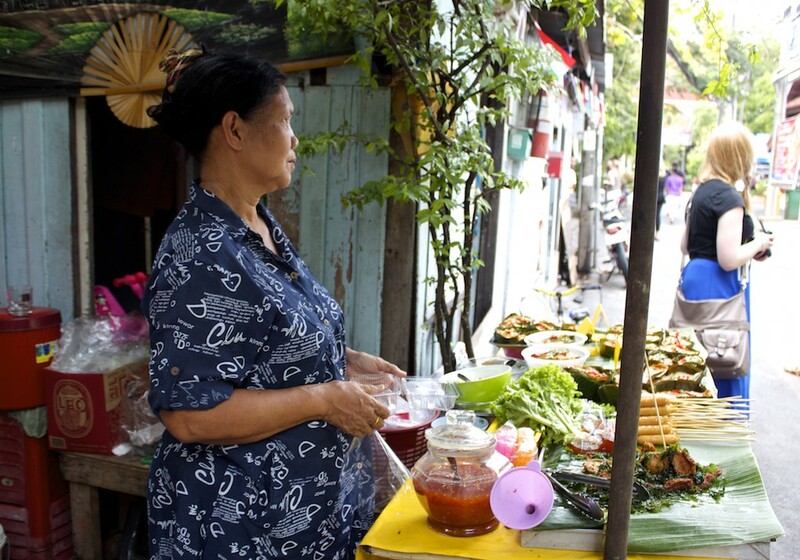 I’d get to know the city the next day on a tour that would bring me to my now favourite area of Bangkok, Thonburi. 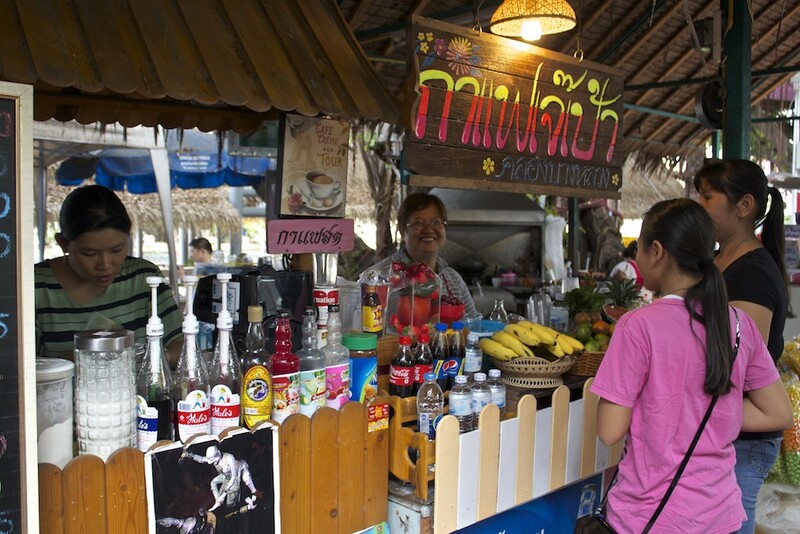 Thonburi offers up a slower, softer side of Bangkok and lies on the west part of the Chao Phraya river. Known for its web of canals, floating markets, friendly locals and floral-lined streets, this district is an oasis within the busy city. Notable highlights of the area include Wat Kamphaeng, an ancient and understated Buddhist temple, and Khlong Bang Luang, an artist’s village. 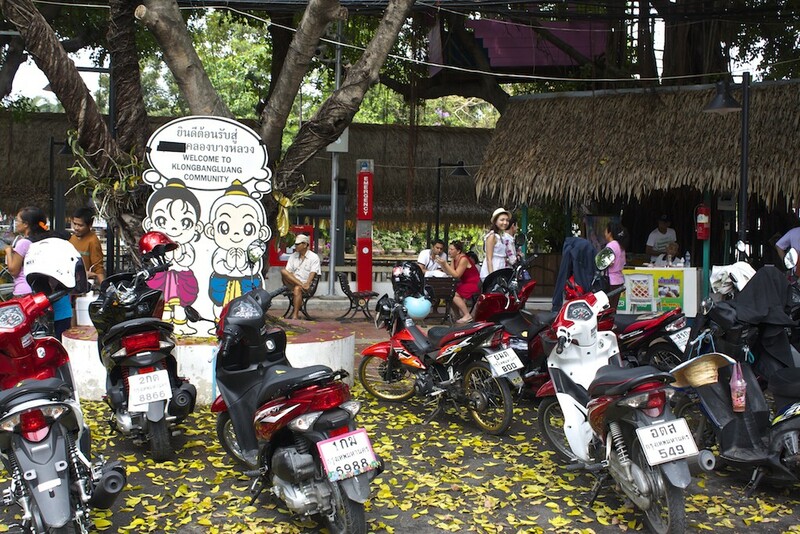 As our van dropped us off in Thonburi, we were greeted with a typical street scene that you’d find anywhere in Thailand. 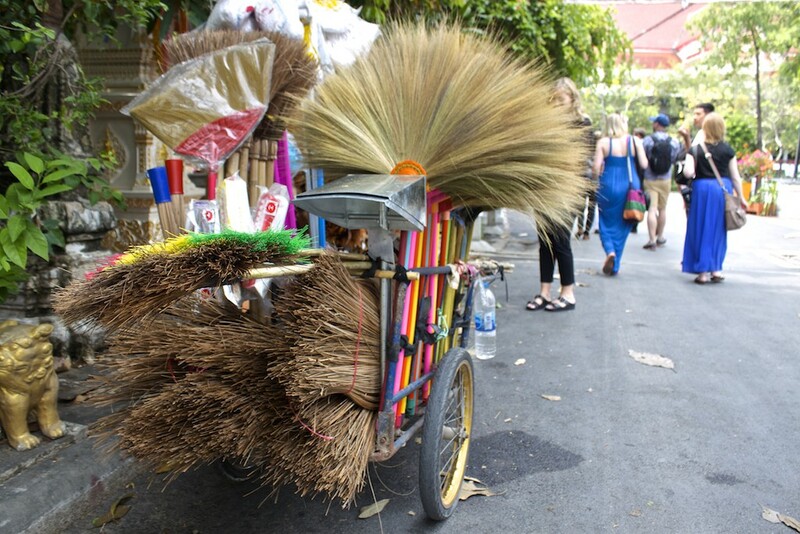 There were vendors selling a vast array of brooms and, of course, food, glorious food. It was hard not to stop and grab a bite of what this lady had to offer! 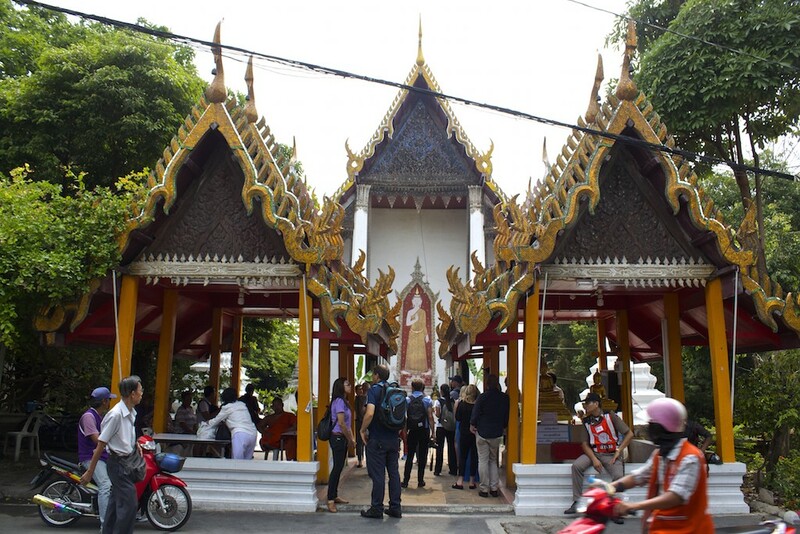 However, we were on our way to our first stop of the tour – Wat Kamphaeng. There are plenty of must-see temples in Bangkok, built for royals, appropriately decked out with grand architecture and filled with large, impressive Buddha statues that recline or are solid gold. 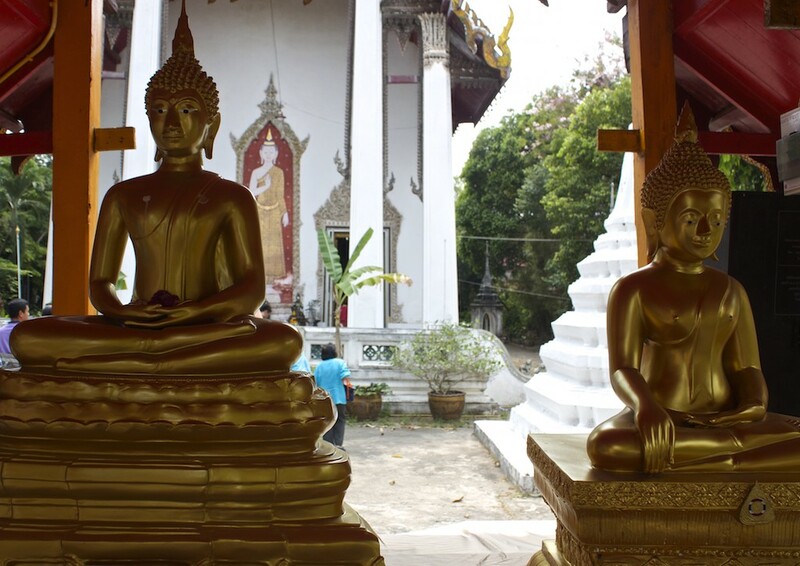 Then there are the temples or wats (as the Thai call them) that aren’t mass tourist attractions but simple, intimate, ancient places of worship frequented by locals. Wat Kamphaeng is one such temple. 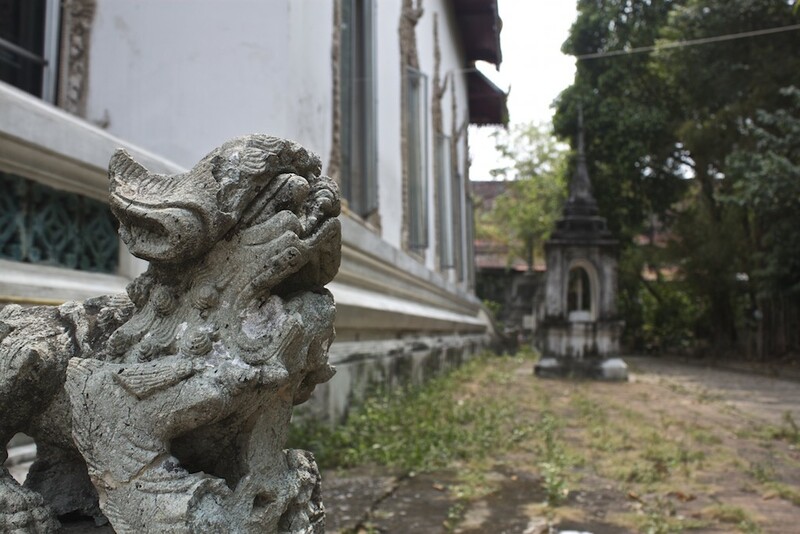 Located along a canal near the Klhong Bang Luang artist’s village, this quiet wat is reminiscent of a time long past, well before Bangkok became the thriving, fast-paced metropolis it is today. The exact age of the temple is not known, but is thought to have been constructed sometime between 1400–1600, during the Ayutthaya period. 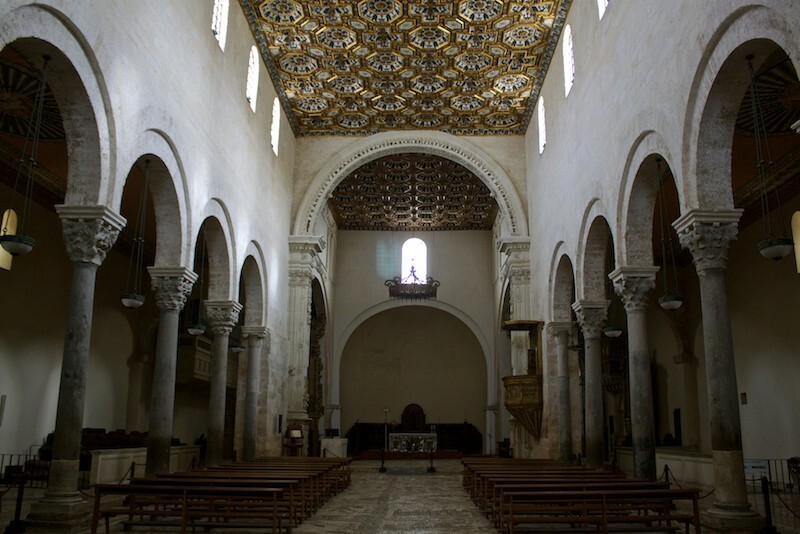 Unfortunately, many of the temple’s mosaics have fallen to disrepair, but ongoing restoration efforts from volunteer artists are helping. 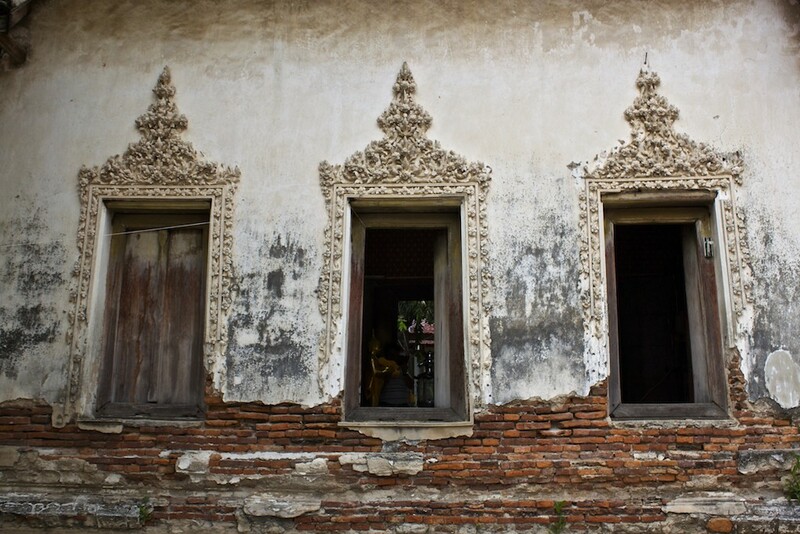 The faded beauty of Wat Kamphaeng is charming all the same. This would be my first Buddhist temple experience. As I slipped off my shoes to enter the temple, it was easy to forget the hustle and bustle of surrounding Bangkok and fall into the serenity embraced by worshippers coming to pay their respects. 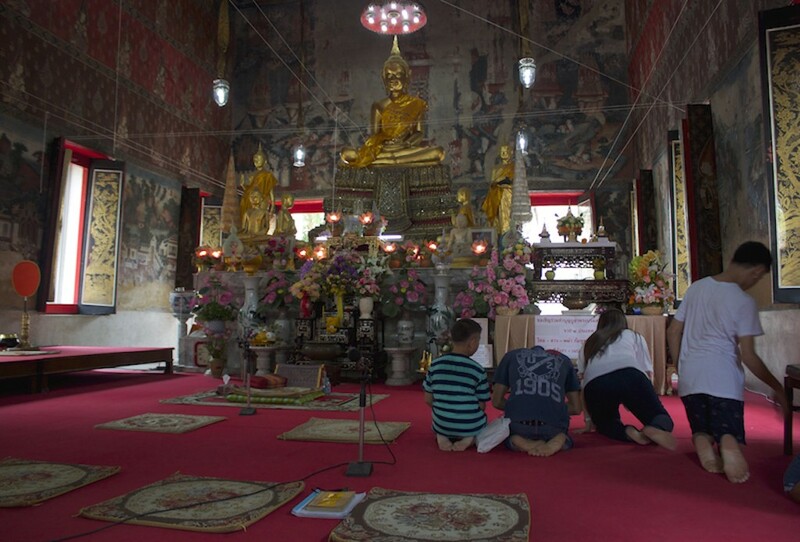 My time at Wat Kamphaeng was all too quick, but a moving and even humbling experience that I’ll never forget. 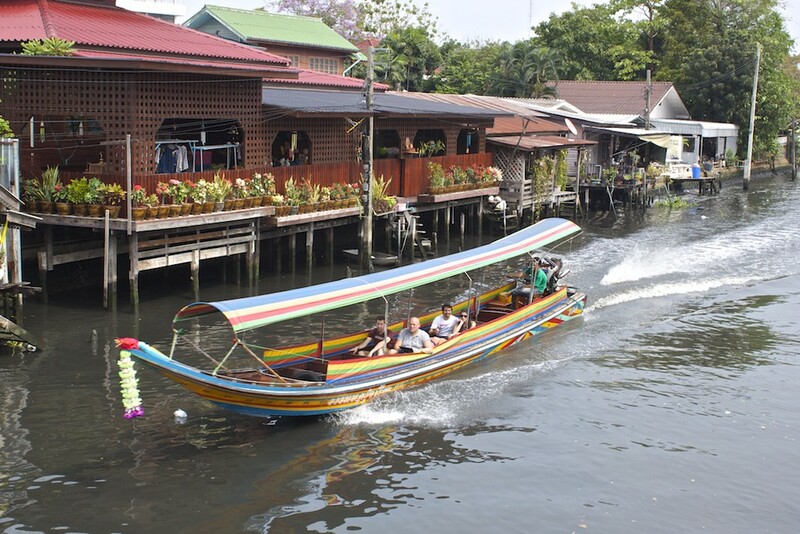 Next up, was Khlong Bang Luang, an artist’s village filled with stilted homes, art studios, antique shops, family-run cafes, galleries and guesthouses. 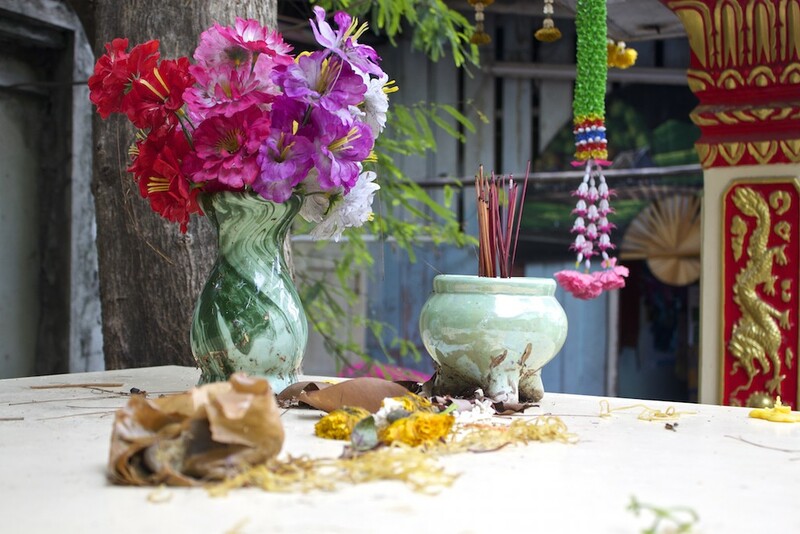 This eclectic and creative community is welcoming to tourists and full of some of the friendliest people I encountered during my stay in Bangkok. It’s the perfect place to relax and sample some of the local food and drink. It was here that I tried my very first Thai ice tea, a sweet, milky concoction that’s the perfect antidote to the sun and heat. With smiling old ladies and little girls, I pretty much fell in love with this community right away. 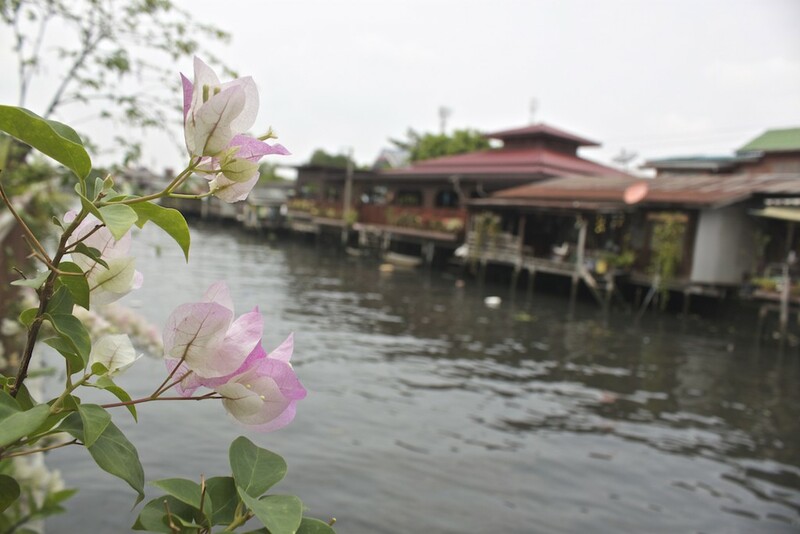 As we continued to make our way toward Baan Silapin, the main artist’s house, we glimpsed life along the neighbourhood’s canals. 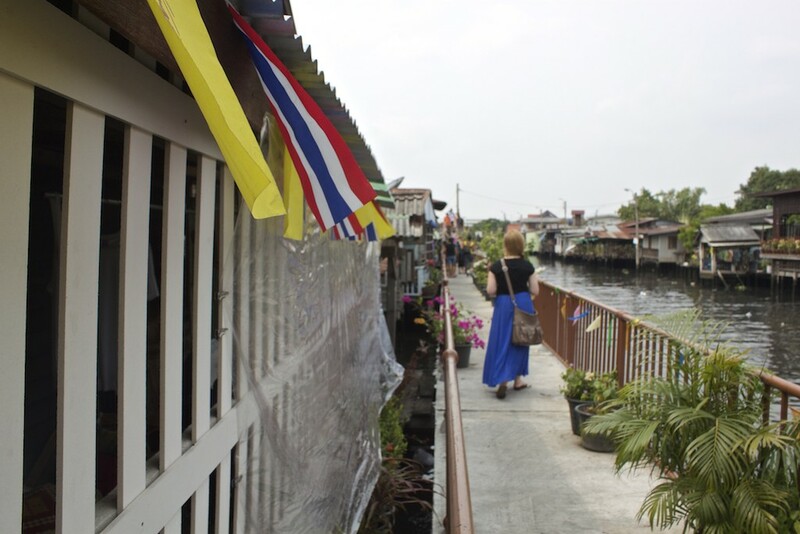 Flowers, Thai flags, longboats, those stilted homes and little shops were all to be seen. 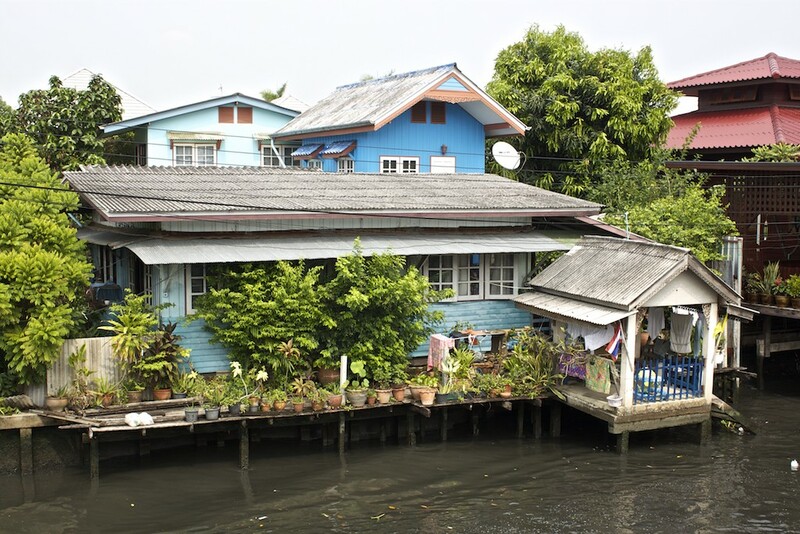 The artist’s house in Bangkok is a century old, two story, wooden teak house that was bought and restored by Chumphon Akhpantanond, a Bangkok-based artist and conservationist. 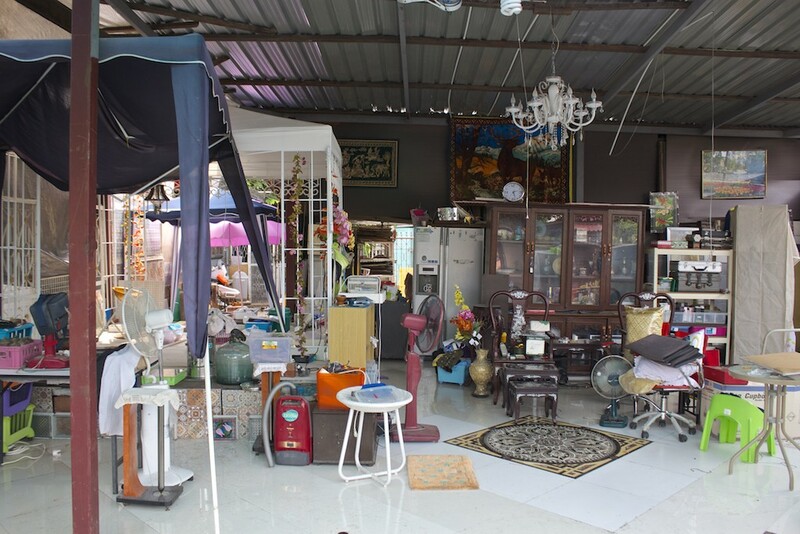 Now a cafe, shop, gallery, performance venue and collaboration space for artists, Baan Silapin harmoniously brings together creative types, artists, students, and tourists. 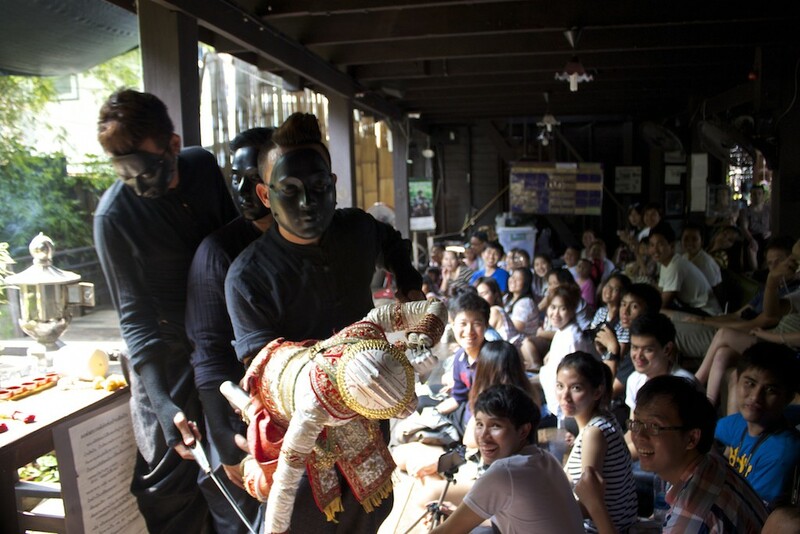 Popular are the Thai shadow puppet shows and displays of traditional Thai dancing. 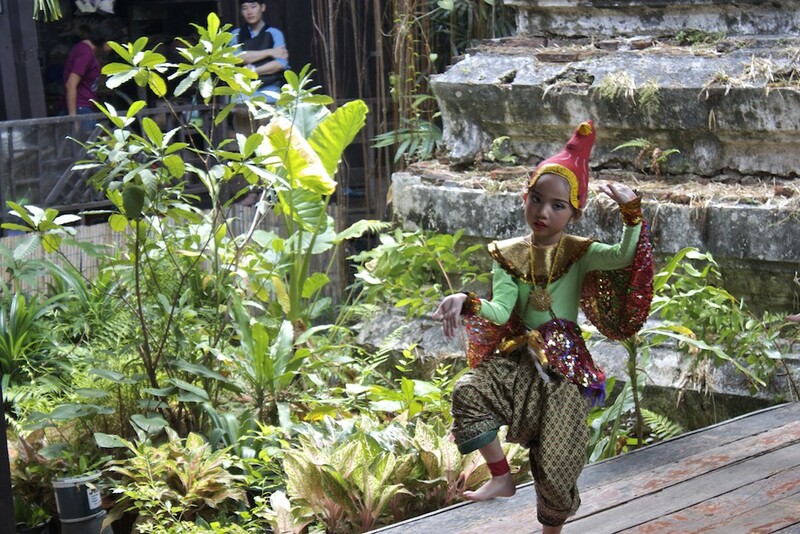 While the puppets scared me, I could have watched these adorable and talented young girls dance for hours on end. What I liked about the artist’s village was the lack of tourists, friendly locals and overall relaxing vibe. The next time I return to Bangkok (I’m already thinking of an extended break there next year), I’d love to spend a few days in a guesthouse just hanging out in this area. Bangkok be crazy! It’s a busy, chaotic, fun city that deserves to be enjoyed but sometimes, it’s nice to escape it, even if just for a few hours. 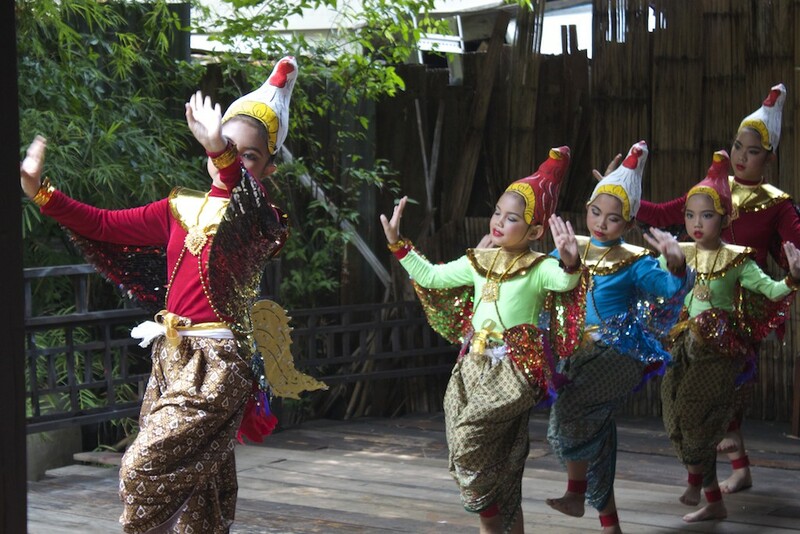 The Thonburi district is the perfect place to do so. 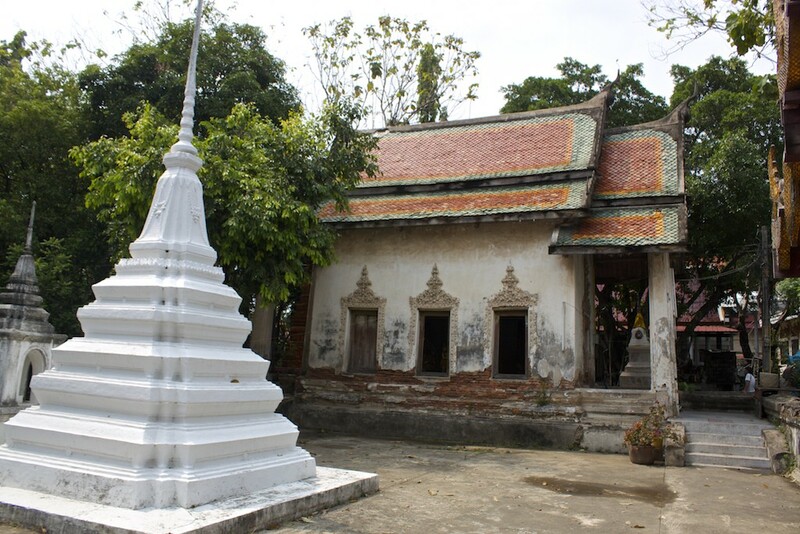 These Thonburi district highlights are notoriously tough to find. 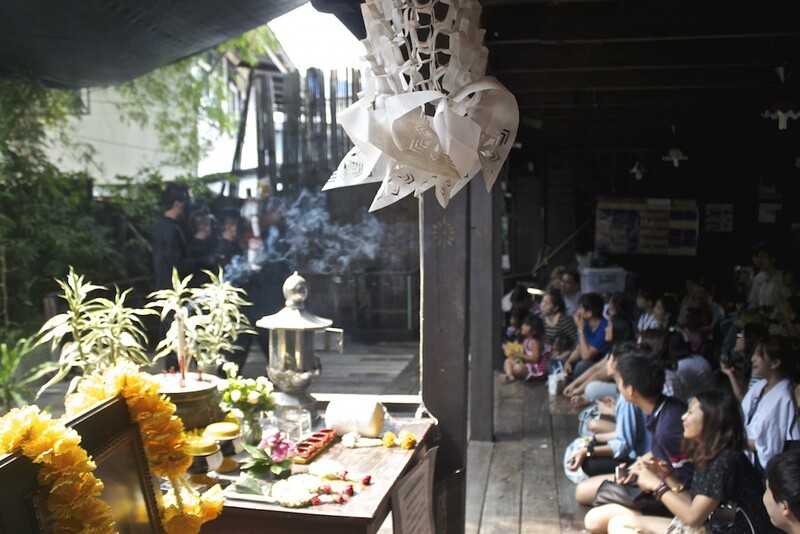 According to Travelfish.org, Wat Kamphaeng and the Khlong Bang Luang artist’s village can be found at Charan Sanitwong Soi 3, Thonburi. View each of the articles to get the specifics. 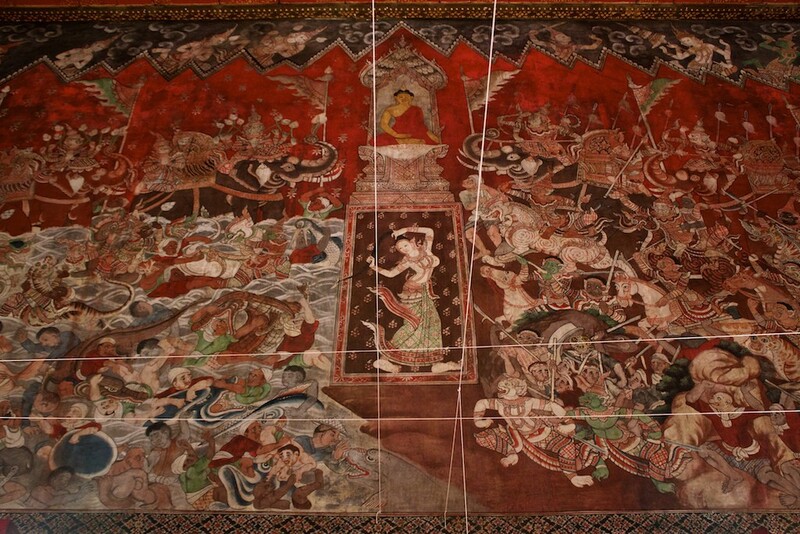 Opening hours for the temple are 08:00–17:00, while opening hours for the artist’s village are 09:00–17:00. You can watch the puppet shows and dancing performances for free, but a donation is strongly encouraged. 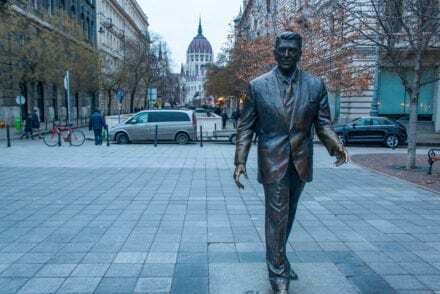 Don’t be that guy – throw a few bahts their way! 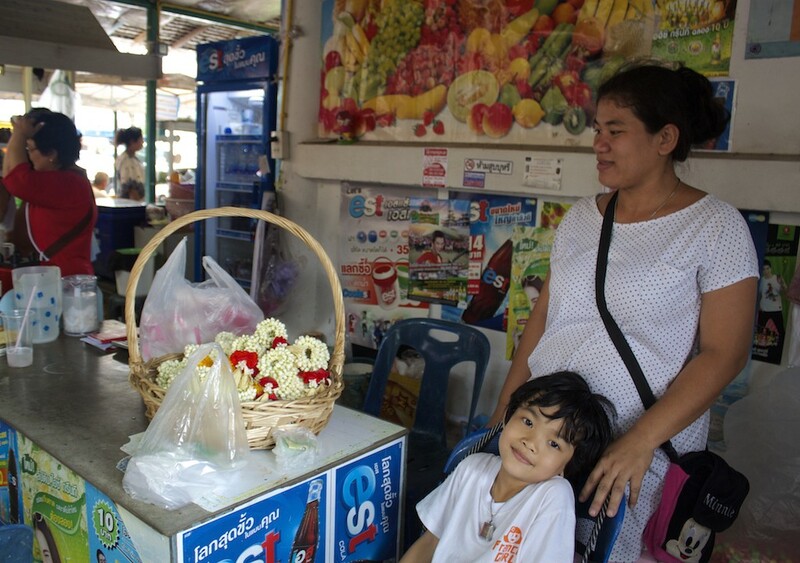 You’ll be helping to support Chumphon’s causes of sustainable tourism and historical preservation. Wi-Fi is available at the artist’s house. But why would you need it when you can just sit back and enjoy your time there? * Disclosure – My stay at the Plaza Athenee Bangkok and city tour of Bangkok was complimentary, courtesy of TBEX and Tourism Authority of Thailand. Any opinions expressed about my newfound love of Bangkok’s slower and softer side are entirely my own. I didn’t make it to this neighbourhood on my travels in Bangkok, and hadn’t heard of it actually. Definitely one for the list. I love BKK, but it’s great to have a heads up about a place to chill out there. Hey David – Yes, this area is great. And as my time in BKK was very brief, I’d love any additional tips you could share! Did you have the little fish mouse cakes from the lady? 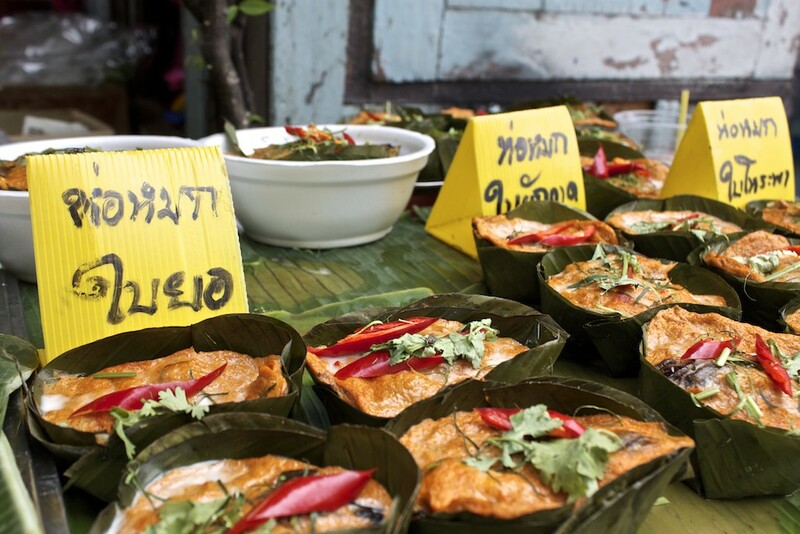 They are called ‘ho mok’ and it’s similar to Malaysian otak otak. Not the most photogenic thing, but delicious! No, I did not have time unfortunately. I’m confused – what do you mean by “fish mouse”? Also, which lady are you referring to – the first one in the blue shirt or the second one on the pink and purple shirt? Sorry I meant fish mousse not mouse lol. You took a photo of the thai version after the lady in blue. 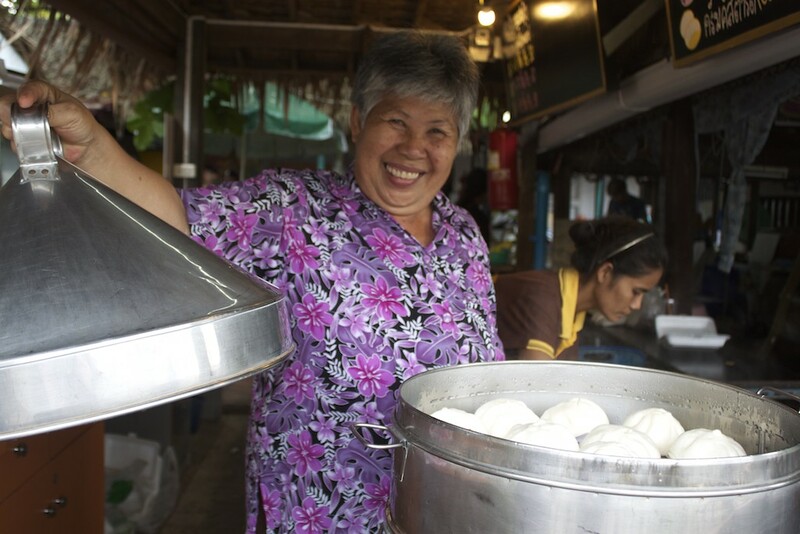 Wow, I absolutely love your photos of Bangkok! 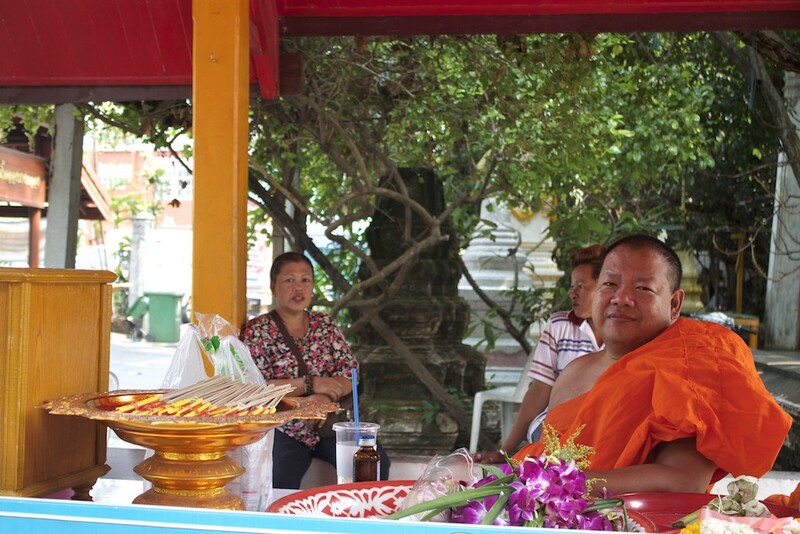 I particularly enjoyed seeing Wat Kamphaeng; even through pictures, you can feel the peaceful quiet of the temple! I’m glad you got to experience the Thonburi district. It looks like it was definitely a great place to stop, relax, and enjoy some time away from the busy city! You’ve been to such a lovely place! Your photos really captured the culture and people there! BKK is on my fave list when moving abroad later that year, so I hope to see it and experience a lot of things just like you! Hey Micky! Sorry, as I’ve not been to Hong Kong yet, I can’t offer up any advice on the destination.